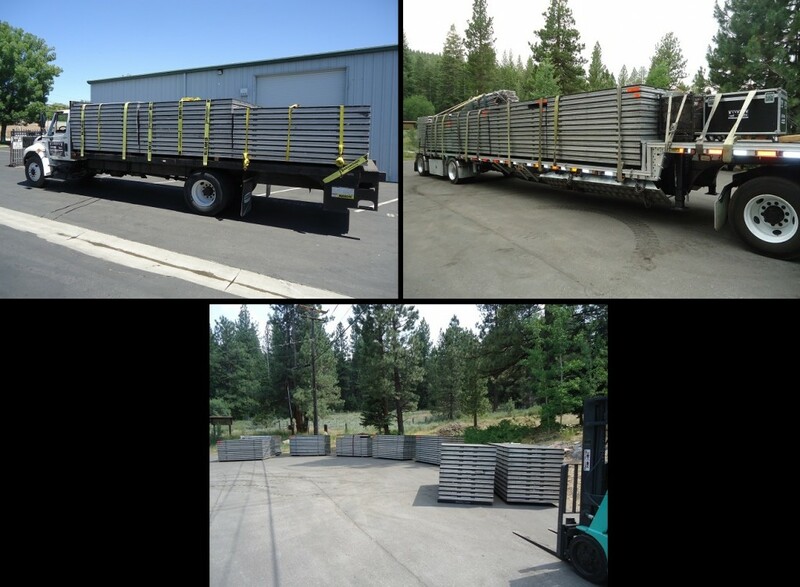 Just about every job site for a special event such as a wedding or corporate event, needs a perfectly level floor for tables, chairs, performance areas, dance floors, and catering set ups. Stage CMDR can install an entire sub floor over any type of terrain no matter the UN-evenness of the ground and the around the obstacles that can not be removed which required the sub floor to be built around them. 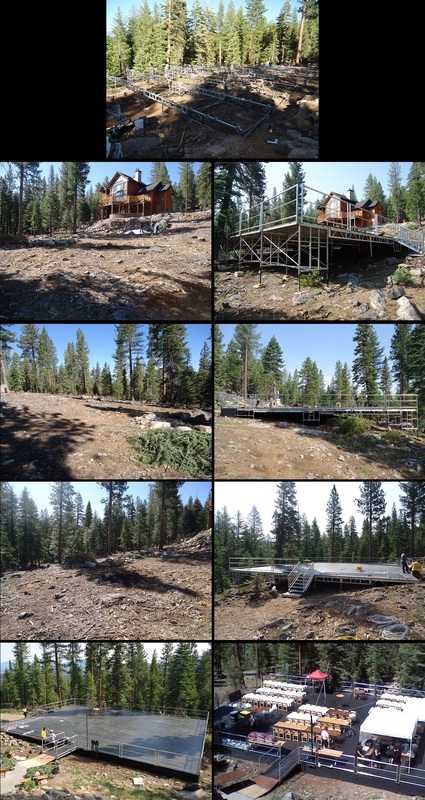 Need a sub floor that is a 100’x 80′ or a sub floor that is a 3 tiered multi leveled/shaped structure that needs to be built over terrain that has a major slope and has custom fabricated handrails to your liking? Stage CMDR specializes in these types of projects and prides that our finish product is UN-matched to any competitor that provides sub floor rentals. Stage CMDR guarantees that any size sub floor project can be executed in under 1 day, hassle free, mindful of the property surroundings, installed with less then 8 crew members, minimal noise when installing and UN-installing. They also guarantee that the finish product will be solid as cement, it won’t move even if there is an earthquake, it will pass any fire code inspection. All of that, GUARANTEED or they will do the entire job FOR FREE! When installing any sub floor, Stage CMDR uses its actual staging decks as the flooring. This process enables the client to have the option of all the deck type surfaces that Stage CMDR offers such as, standard black decking, any laminate or hardwood flooring that the client can choose at any flooring store, clear, carpeted or frosted decking, and glossy red, blue, yellow, gold, white, grey, brushed aluminum, checkered and diamond plate decking. Stage CMDR DOES NOT build the main portion of any sub floor project using old beat up aluminum/steel I-beams, wood 2×4’s, 4×4’s, sheets of plywood, hammers or nails. You get a professional engineered and manufactured product. rating of 441,600lbs and did not shift or move 1 centimeter.